Q1: @thepenGW @GlasgowWarriors @AlastairKellock what's your favourite game and why? #thecaptain"
A1: @thepenGW There are many that stand out but the semi-final against Munster and the first time I captained Scotland are the two best." Q2: @hannahblunn How much would it mean to win the final this season with it being your last? @GlasgowWarriors #TheCaptain"
A2: @hannahblunn It's been an incredible journey for the last 9 years and to end it with a trophy would be very special. 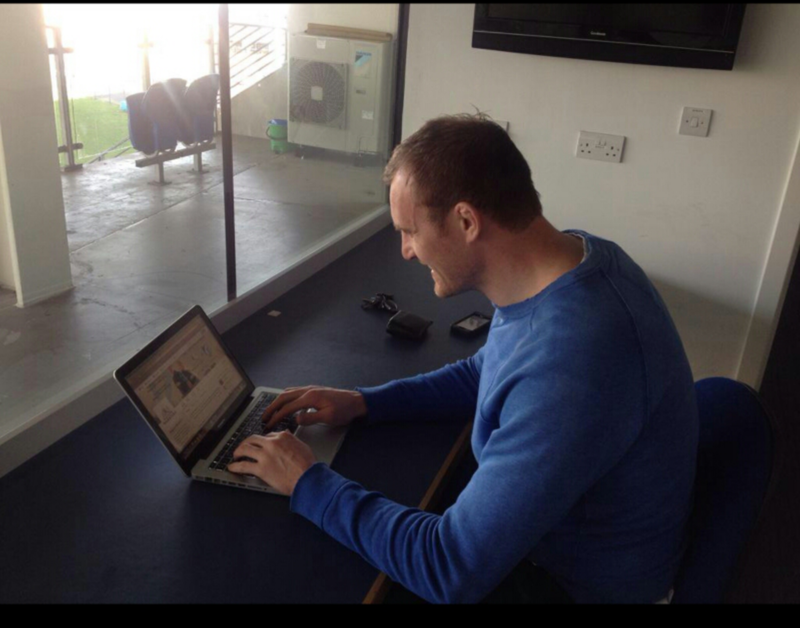 #TheCaptain"
Q3: @robeth1957 @GlasgowWarriors @AlastairKellock what is your favourite ground, bar Scotstoun obviously.#captain"
A3: @roberth1957 We get to play at some great grounds. My favourite club stadium is Thomond Park and Eden Park was also fantastic." Q4: @MhairiCam13 What drove you to start playing rugby? #TheCaptain #WarriorNation"
A4: @MhairiCam13 We used to share lifts. My Dad drove sometimes and other times, my friends parents would drive me. #TheCaptain"
Q5: @scottrugby97 Al will u still have a lot 2 do with the Warriors #TheCaptain"
A5: @scottrugby97 My new role will allow me to spend time with Scottish Rugby but I'll absolutely still be working closely with the Warriors"
Q6: @grahamwa When you retire and can throw out all the nutrition "advice" what would be your first meal? #TheCaptain"
A6: @grahamwa I'm looking forward to going on holiday and not having to worry about my diet but that can't last too long #fat #TheCaptain"
Q7: @PeterElder74 okay skipper, is it roasted cheese or toasted cheese? #thecaptain"
A7: @PeterElder74 Toasted cheese because the other one doesn't exist #TheCaptain"
Q8: @muzzafraz Who's the most underrated player you've played with? #TheCaptain"
A8: @muzzafraz I would say Eric Milligan because it isn't always just what you see on the park that makes a great player. 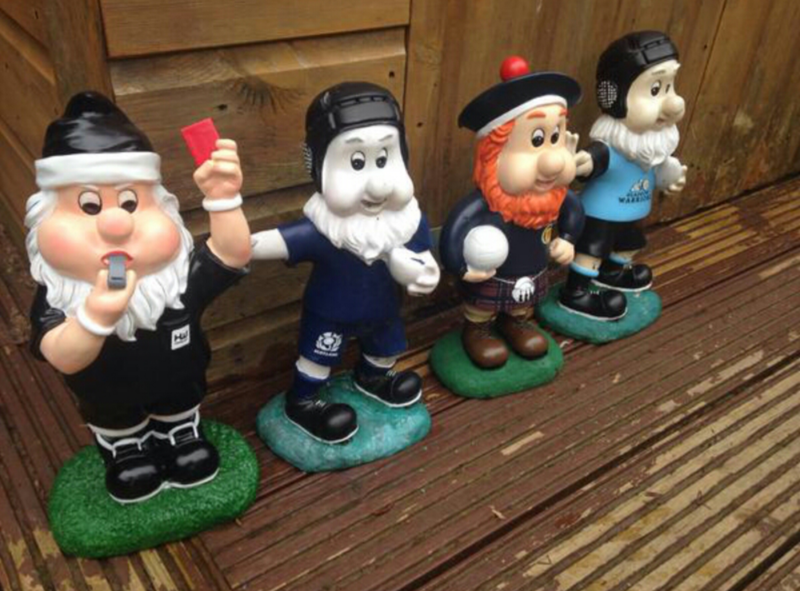 #squadman"
Q9: @LenzieRFC ur other team Allan glens played us in big derby game on sat. Apart from Edinburgh who is your biggest rival? #TheCaptain"
A9: @LenzieRFC It's changed over the years but probably Leinster as we've played them so many times in crucial games. #TheCaptain"
Q10: @MOMXW What is your guilty pleasure movie or song? #TheCaptain"
A10: @MOMXW Movie: Les Mis because it's brilliant. Song:Zach Brown Band - Toes. Listen to it it's a great song! #TheCaptain"
Q11: @davidarnott88 What's been your favourite country to visit during Warriors or Scotland duty? #TheCaptain"
A11: @davidarnott88 I have a joint winner. South Africa and Argentina are both great. #foodanddrink #TheCaptain"
Q12: @ian40766 What do you think of Rugby League? #TheCaptain"
A12: @ian40766 I love watching Rugby League because the skill level is incredibly high #TheCaptain"
Q13: @PeckythePenguin Hi Al, Do you have any pre-game rituals or superstitions? P.S. It's my birthday 😃 #TheCaptain"
A13: @PeckythePenguin I like to do the same walk on the park before every game and write my kids names on my wrist tape. #TheCaptain"
Q14: @BSpalders There has been a massive transformation in time you've been at the club. How do you see our progression over the next decade"
A14: @BSpalders I don't see any reason why we can't continue to develop at the same speed we have been doing in recent times. #veryexciting"
Q15: @MOMXW Best and worst gift you have ever received #TheCaptain"
A15: @MOMXW Best: My Auntie gave me a Leatherman for my 21st. Worst: My Mother in Law gave me a wooden walking stick! #hopeshesnotontwitter"
Q16: @kevrud17 How do you think Scotland will do in the World Cup? #TheCaptain"
A16: @kevrud17 I believe we'll reach the Quarter-Finals and from there anything is possible #TheCaptain"
Q17: @HelenaLeggett If you could have played at the same level in any other sport what would it be? #TheCaptain"
A17: @HelenaLeggett When I was growing up it would have been football, but knowing what I know now I think it would be golf. #TheCaptain"
Q18: @GregCameron6 Do you think Jonny Gray has what it takes to become Glasgow and Scotland Captain? Even Lions skipper??? #TheCaptain"
A18: @GregCameron6 Jonny is already an exceptional player and if he carries on the way he's going, then why not? #TheCaptain"
Q19: @FiSulli How do you like my dads gnome collection😂? What's ur fave? his bday today! Big fan! #TheCaptain"
A19: @FiSulli The one in the Warriors shirt because it reminds me a bit of Dougie Hall! #TheCaptain"
Q20: @mould_robyn If you could play against any team in the world who would it be? P.S. I love you❤️ #TheCaptain @GlasgowWarriors"
A20: @mould_robyn Every England game is incredibly special so one more of them would be nice! #TheCaptain"
Q21: @IlseLaura Best thing about being a warrior? #thecaptain"
A21: @IlseLaura The sense of family and togetherness we have built up over the years. #Culture #TheCaptain"
Q22: @neilcunningha11 Who is the best player you have ever played against? #TheCaptain"
A22: @neilcunningha11 I would say Jason Robinson would have to be up there. #TheCaptain"
Q23: @ramrigblondes Who's the best and worst room mate? #TheCaptain"
A23: @ramrigblondes Best: @mikeblair9, he knows how I like my tea! Worst: @Biggers3 as he snores like a foghorn! #TheCaptain"
@mikeblair9: @GlasgowWarriors @ramrigblondes @Biggers3 I am a great room mate." "@Biggers3: @ramrigblondes @mikeblair9 @GlasgowWarriors cheeeers. Too kind"
Q24: @pwmcomms What law change would you most like to see in the game and why? #TheCaptain"
A24: @pwmcomms I'd like to see the scrummage laws go back to where they were a few years ago when the hit was less of a factor #TheCaptain"
Thanks for joining Al on Twitter this evening! Join him and the team on Friday when we take on Cardiff!"